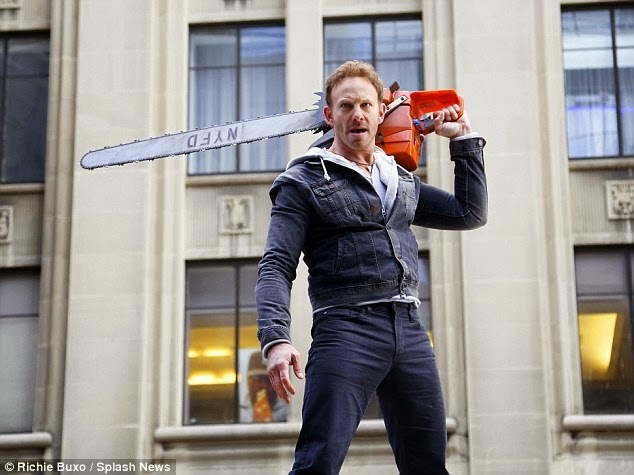 Paranormal Pop Culture: Behind the Scenes Look at "Sharknado 2: The Second One"
Behind the Scenes Look at "Sharknado 2: The Second One"
Earlier, the Daily Mail shared some behind the scenes photos from the set of "Sharknado 2: The Second One," and while April and Fin may have escaped unscathed from the first "Sharknado," it doesn't look like they're so lucky this time around. 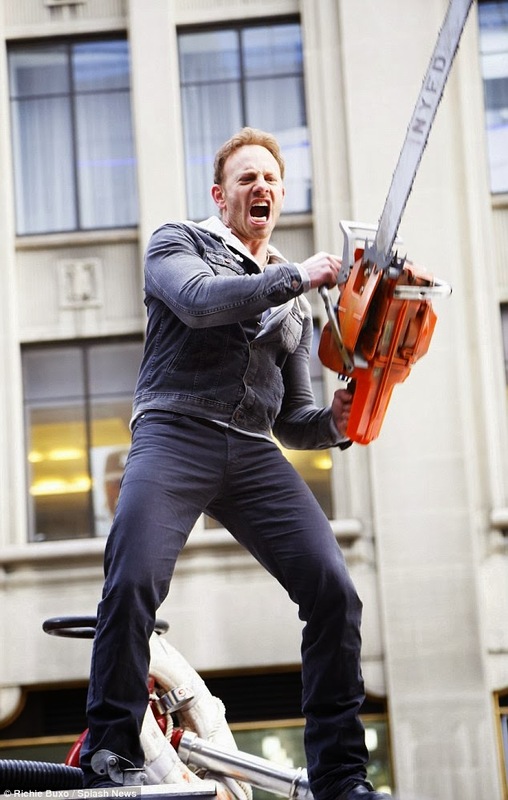 The photos show our hero, Fin (Ian Ziering) toting his now eponymous chainsaw, while April (Tara Reid) is sporting an arm sling and some bandages that appear to be concealing an amputated hand! Currently there is no further information on the potentially disfiguring plot point, it looks as though filming of the Syfy original sequel is proceeding swimmingly. Reid revealed that she was one of many people that were shocked by the films popularity, stating "I'm just as surprised as everyone else. Come on, I did it as a joke! I didn't even think anyone was going to see it. And then what happened has never happened before on any movie. Even now, you thought the buzz was going to stop about 'Sharknado,' but it just keeps going." Tweeted by Reid: "#sharknado2 help me! Lol"
She also hints that the upcoming sequel may be even more campy than the first, saying "And the one we’re shooting now in the city, you think, 'How can it be worse than the first one?' That’s the only way it can maybe work. We’ll see what happens." After the literal overnight success of the Syfy flick caused a social media feeding frenzy, the executive decision to create a sequel (a first for Syfy original movies) was set in motion. 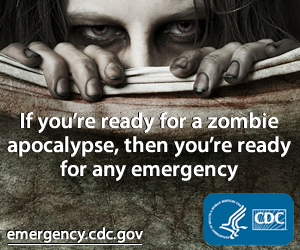 "Sharknado 2: The Second One" takes place in New York City and is set to attack the airwaves in July, 2014. Check out the rest of the gallery after the (shark) jump!